Her passion is helping children acquire reading skills and she has been working with school children since 1999. She has an NGO called Reading for life; which runs reading clinics and sets up libraries throughout the country. Previously, Mrs. Amissah Arthur served as the book expert in the DFID project, which procured and put 4 million books in all public basic schools in Ghana. She set up and managed the USAID computerized library and since 2006 she has been consulting for a number of top publishers. Nathan Amanquah is an Senior Lecturer in the Computer Science Department of the Ashesi University College. He currently teaches a number of senior level courses including Computer Networks, Mobile Web Programming and the advanced programming class. 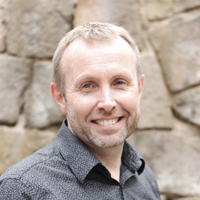 He has previously worked as a systems administrator, a communications engineer and as an automation engineer. 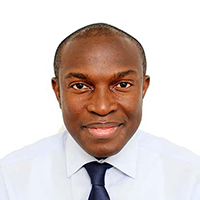 Ben Andoh is an international regulatory, risk, and control professional. 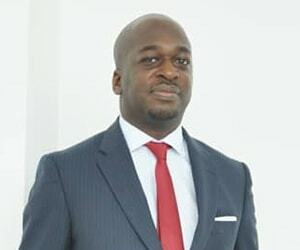 A British and Ghanaian national, currently residing in Lomé, Togo where he serves as a group head of internal control for Ecobank Transnational Inc, the Pan African banking group. Prior to Ecobank, Ben spent the majority of his career at Citi in London and South Africa working across Europe and Africa. 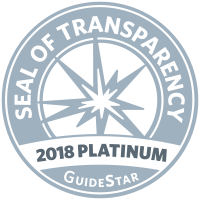 Ben also serves as a global advisory council member of IREX, a global nonprofit organization headquartered in Washington. Ben holds an LLB law degree and a masters in financial & commercial regulation from the London School of Economics, UK. Elizabeth Ashun is a dual qualified lawyer in the United Kingdom and Ghana with over 12 years of legal experience in commercial real estate, construction and infrastructure projects. She currently practices as a senior lawyer within the Construction, Infrastructure and Transportation Group of Bentsi-Enchill, Letsa & Ankomah, the leading law firm in Accra, Ghana. Recently, she has been involved with setting up The Right to Read, Bentsi-Enchill Letsa & Ankomah’s maiden CSR project, which is an NGO which focuses on developing the reading skills of children in Adabraka. Encouraged by his Literacy professor at Kumasi Anglican Secondary School, Okyeame started writing music and performing on stage whilst in secondary school. He runs his own record label One Mic Entertainment and also Firm Bridges Communications, co-founded with his wife. 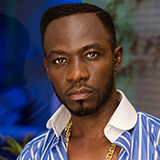 In November 2016, he was presented with the keys to Cincinnati, Ohio, and he has also received a US Presidential Volunteer Service Award from former President Barack Obama in recognition of his humanitarian efforts in Ghana – the Okyeame Kwame Hepatitis B campaign. In March 2017 he received the People’s Choice award from the Asantehene King, also for his humanitarian work. 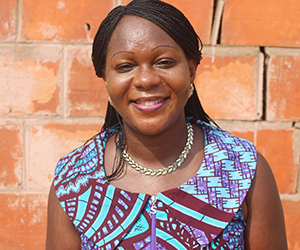 Ethel oversees the Worldreader portfolio of programs in Ghana and West Africa. She leads strategic planning, program expansion, and facilitates business development and partnerships within the region. Ethel has over fourteen years of program management experience within the development, public health, and education sectors. She was previously a Country Director and a Program Officer for Right to Play’s West and Francophone Africa (WAFA) Regional Office in Ghana. 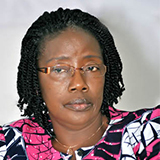 Ethel holds a Master of Philosophy Degree in Public Health from the University of Ghana, Legon and a Bachelor of Arts Degree in Social Work and Sociology from the same University.